Written by Rob Williams (Suicide Squad)! New adventures of the eleventh Doctor, as played by Matt Smith! 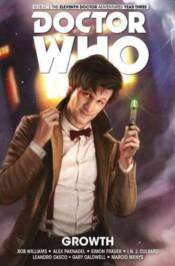 Collects Doctor Who: The Eleventh Doctor Year Three #1-4.